The annual Swell conference hosts many of the world‘s policymakers and leaders in fields, such as payments or technology. The gathering, organized by Ripple, aims to unite some of the most prominent minds on the planet in order to discuss the new ways that the budding blockchain technology could be utilized and introduced for mass use. According to a tweet by a company behind the third-largest digital currency XRP, this year’s keynote speaker will be none other than the 42nd President of the United States Bill Clinton. According to the official press release, the Q&A session will follow the keynote address, which will surely be the highlight of the conference, held in San Francisco over the first two days of October. 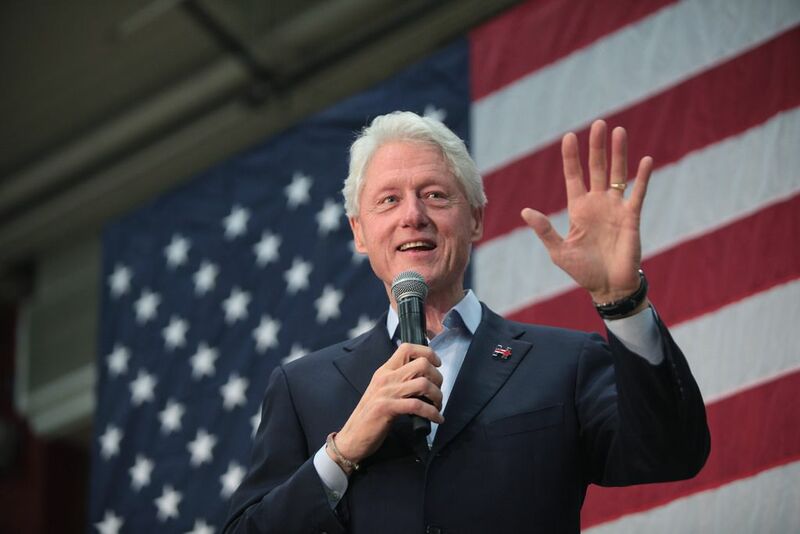 Ripple has praised Mr. Clinton, claiming he “helped usher in a period of extreme growth and adoption of the Internet, shaping what it is today“ and “brought new technology to underserved communities around the world“. The emergence of virtual currencies alongside the distributed ledger technology has often been likened to the infamous dotcom bubble in late 90s, a period Mr. Clinton is very familiar with, having served as President from 1993 to 2001. Thus, President Clinton is likely to draw on his own experiences in the address, which will be moderated by Gene Sperling, former presidential adviser for both Clinton and Obama, now serving in Ripple‘s board of directors. This year‘s Swell conference will feature numerous success stories of blockchain application in remittance services and international payments, policymakers sharing their frameworks for digital asset regulation and recent Ripple developments among numerous other panels, private meetings, demos and even an award ceremony. The first Swell in 2017 also featured an impressive lineup with former Federal Reserve Chairman Dr. Ben Bernanke, World Wide Web inventor Sir Tim Berners-Lee, and Blockchain Revolution co-author Don Tapscott headlining the event. Crypto regulation is likely to be one of the hotly debated issues at the event. With the SEC decision on bitcoin ETFs still to be announced, the crypto community is hopeful the new regulations could tempt the institutional investors into the market without hindering the development of the industry. Crypto companies have also entered the fray, with major exchange Coinbase recently forming a political action committee, enabling donations for pro-crypto campaigns.